We are engaged in offering Menthol & Mentha Products that comprises Menthol, Mentha Oil (Peppermint oil), Spearmint Oil (60 %, 70 %), Cinnamon Oil and Eucalyptus Oil. Procured from reputed manufacturers, our range has high medicinal property. We supply Menthol Products that is composed of various ingredients such as peppermint oil, clove oil, eucalyptus oil, anethole and cinnamon oil. Procured from leading vendors, our range can be inhaled, eaten and applied on skin. The menthol products are known for refreshing fragrance and cooling sensation. Our range of Mentha oil (Peppermint oil) is specially extracted from mint leaves. These are sourced from reliable vendors who are known for offering quality products. Our range of peppermint oil is widely used in medicinal and flavored application. 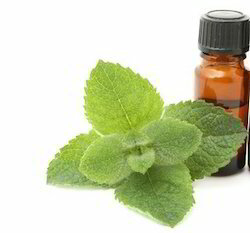 Mentha Oil is extracted through steam distillation method. After filtration, a golden yellow volatile oil is carved. The leaves and flower tops are used in extraction process. After the cooling, you can separate 50% of menthol. The remaining oil can be used as peppermint oil. You can find several small distilleries located nationwide. Mentha oil is obtained by steam distillation of Mentha arvensis leaves. Mentha oil and its constituents and derivatives are used for several purposes like food, pharmaceutical and perfumery and flavoring industry. 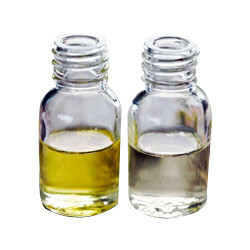 Menthol is the main constituent of menthe oil and slow cooling through refrigeration, crystallization, centrifugation and drying is done to obtain it. 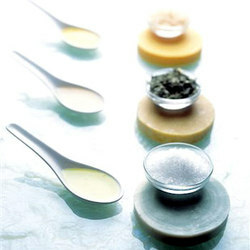 It is used in the manufacturing of products like lozenges, toothpastes, pain balms, cold balms etc. Mentha its leaves are used in making a sauces, chatni in most Indian households. We offer Spearmint Oil (60 %, 70 %) that is also known as Mentha Spicata. This is a colorless to pale yellowish liquid and have antioxidant property. Our range is widely used for respiratory and nervous disorders. Prepared from finest herb, these are appreciated for medical value. We export Menthol, which is available in crystal form (Bold, Medium, Regular and Terpineless). 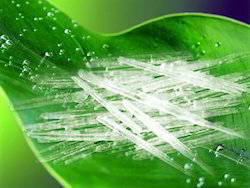 Sourced from renowned manufacturers, these menthol crystals are widely used in varied therapeutic activities. Our array gives a cooling effect and can be inhaled or applied to skin. These are also used in chewing gum, and toothpaste. We provide Cinnamon Oil, which is used for curing cold, menstrual difficulties, flu, rheumatism and digestive problems. Sourced from leading vendors, our range is commonly related to culinary use. 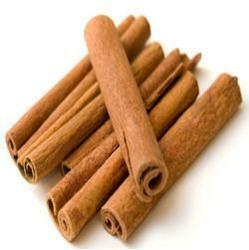 The cinnamon oil also has medicinal properties in aromatherapy. Our range of Natural Eucalyptus Oil has high medicinal, perfumery and industrial use. This Eucalyptus Oil is extensively used for preparing ointment, cough sweets, sprays and lozenges. It is also used as inhalant or chest rubs to ease breathing difficulties. Procured from reliable vendors, the oil provides complete dental hygiene solution. 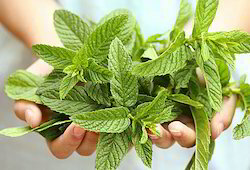 Looking for Natural Menthol & Mentha Products ?